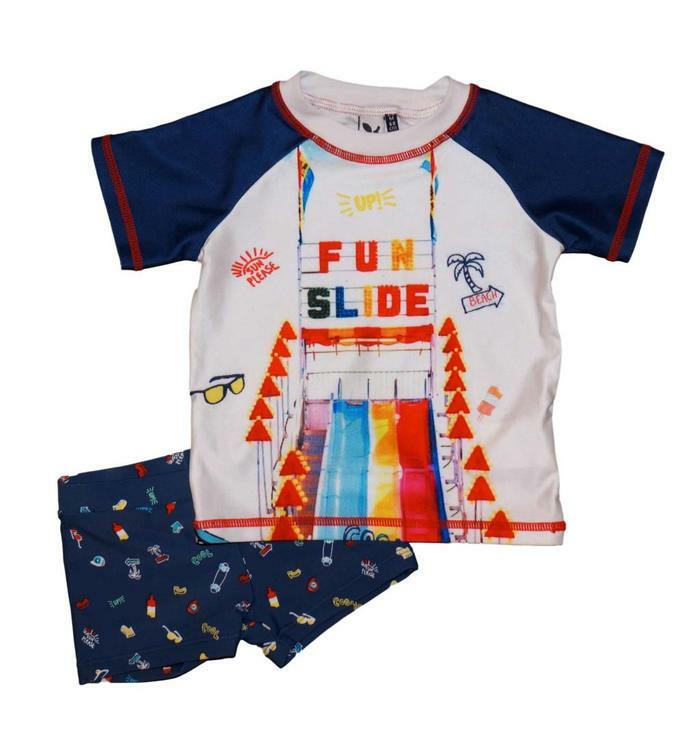 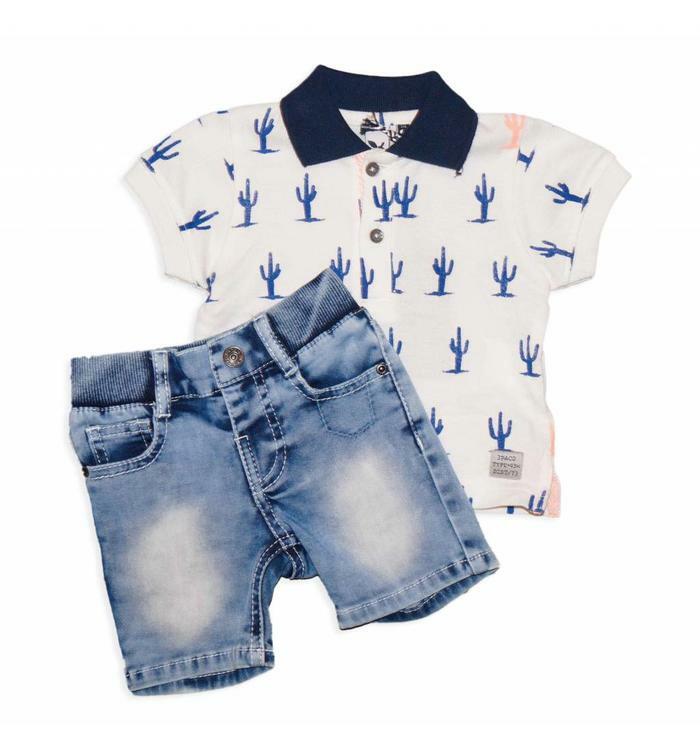 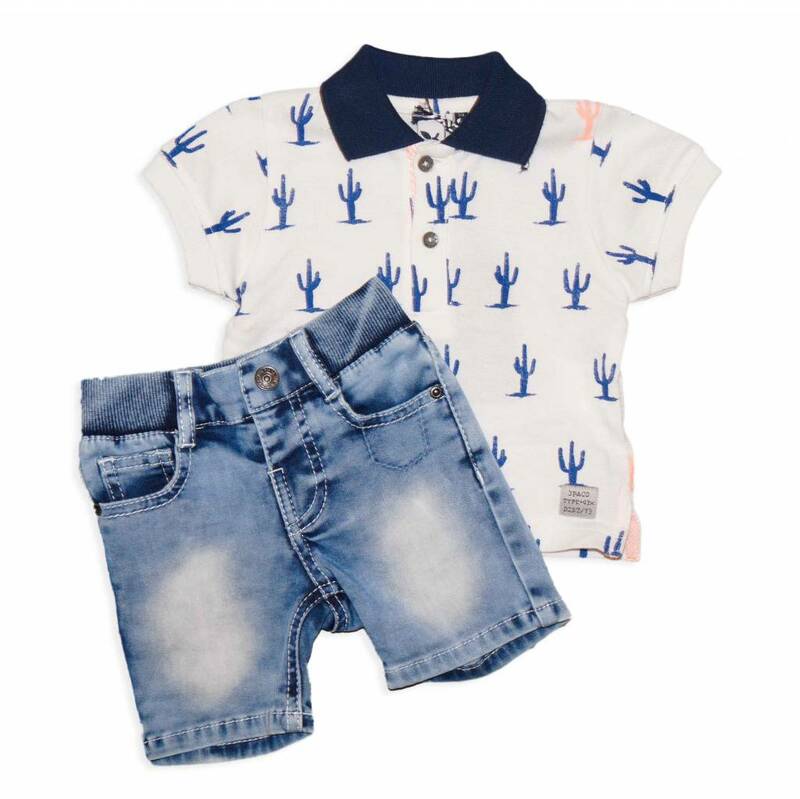 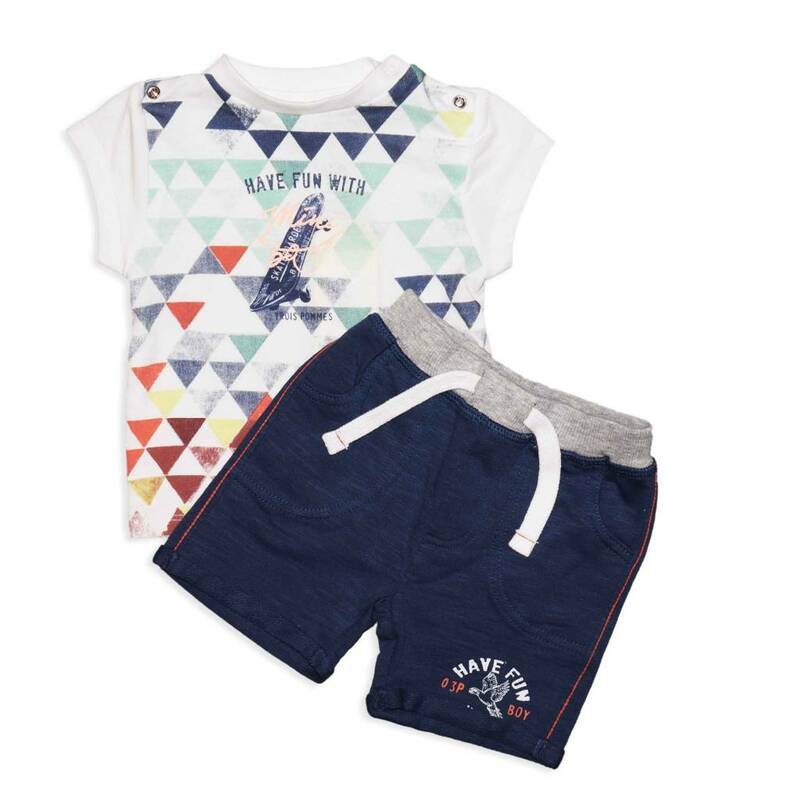 Boy's 2 spiece set includes a printed white cotton t-shirt and navy cotton shorts with elastic waist. 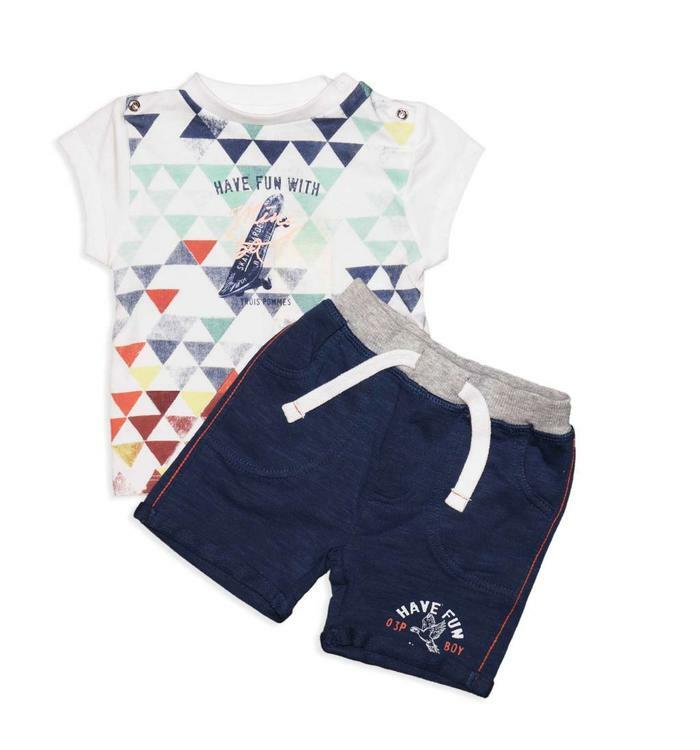 UV protection 2 pieces swimsuit featuring a printed white short sleeve sweater and printed blue shorts. 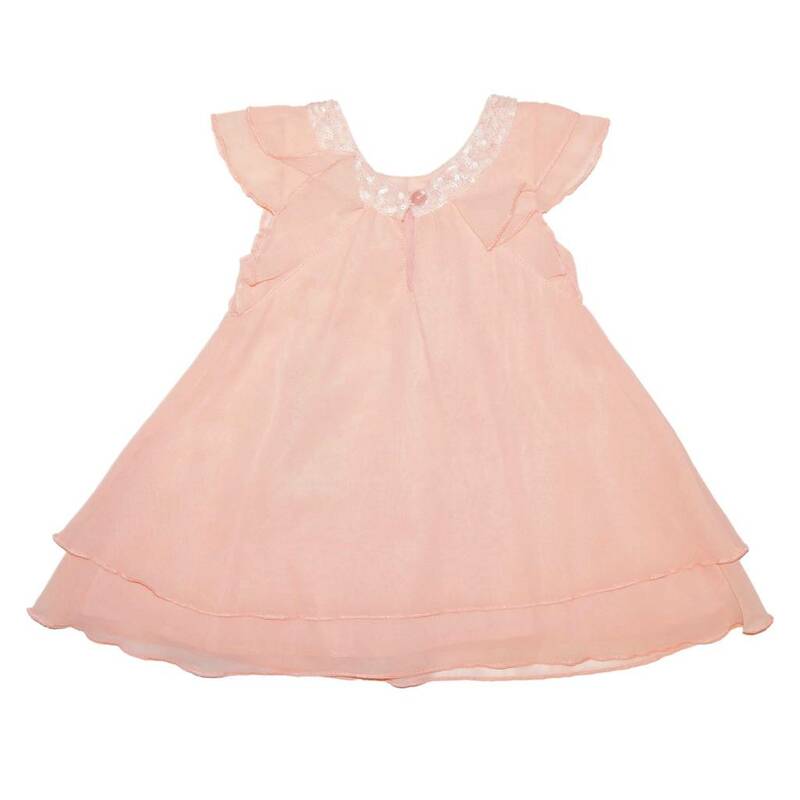 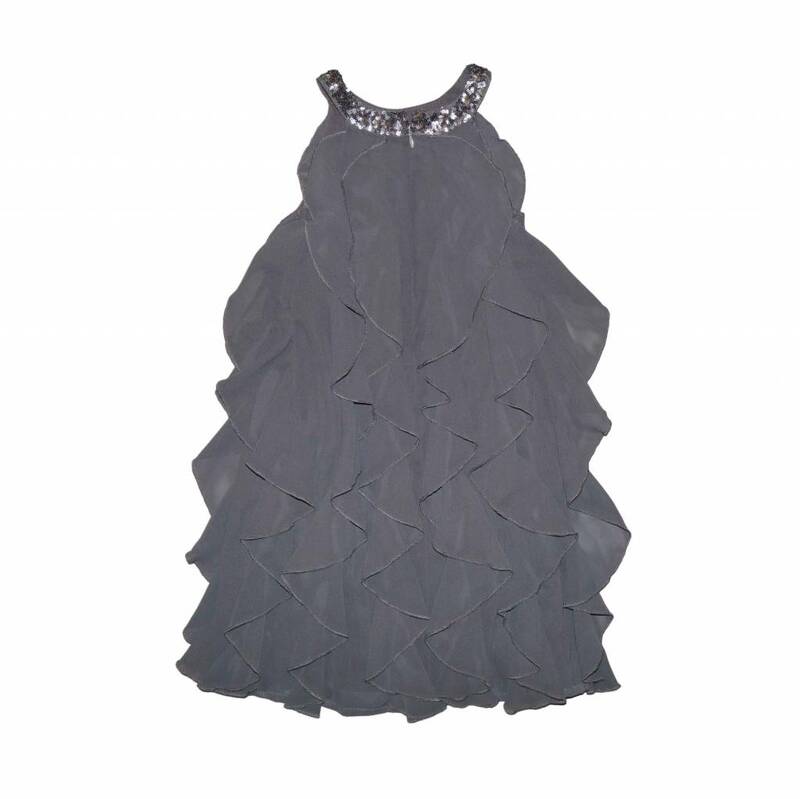 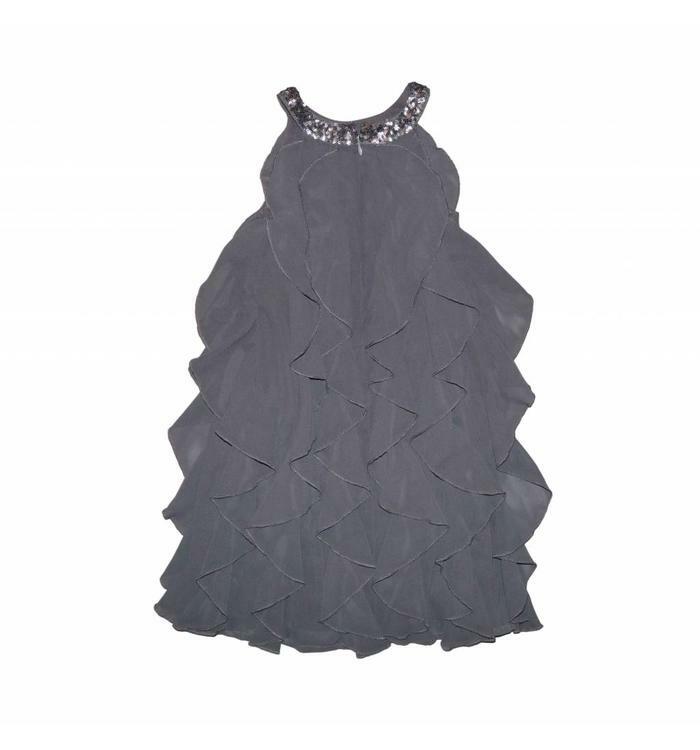 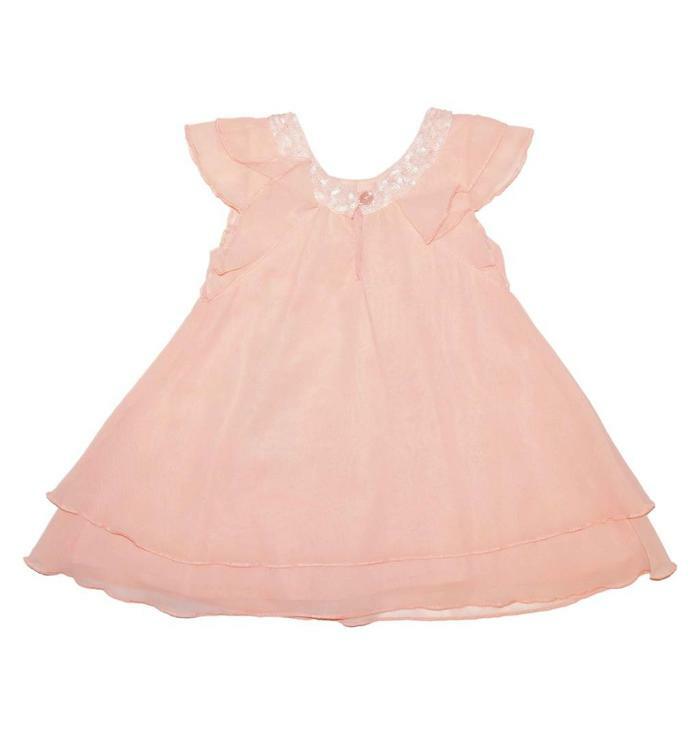 Sleeveless dress for special occasion in a coral color with sequins on the collar. 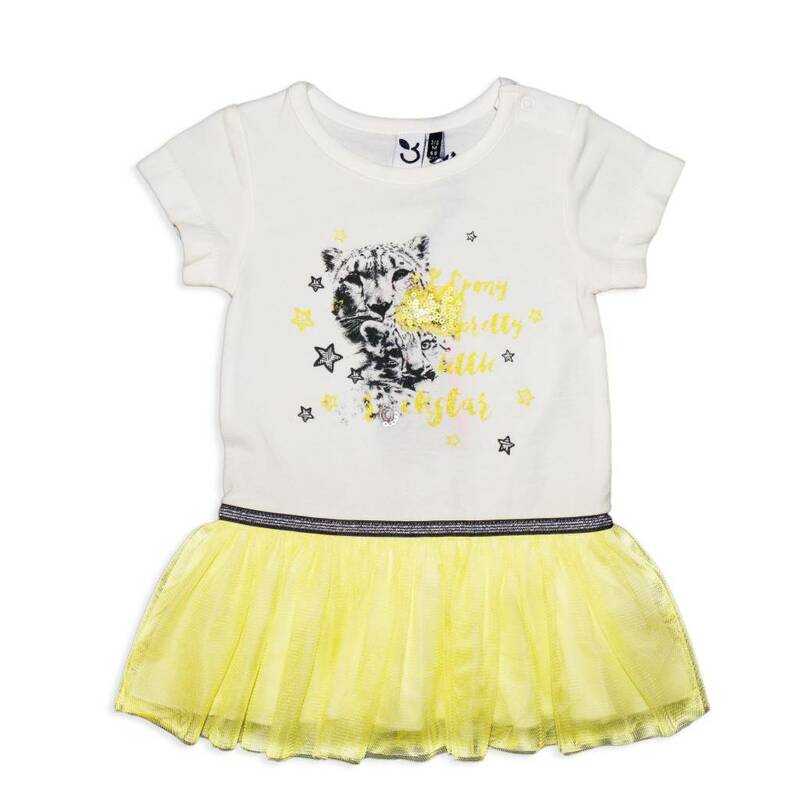 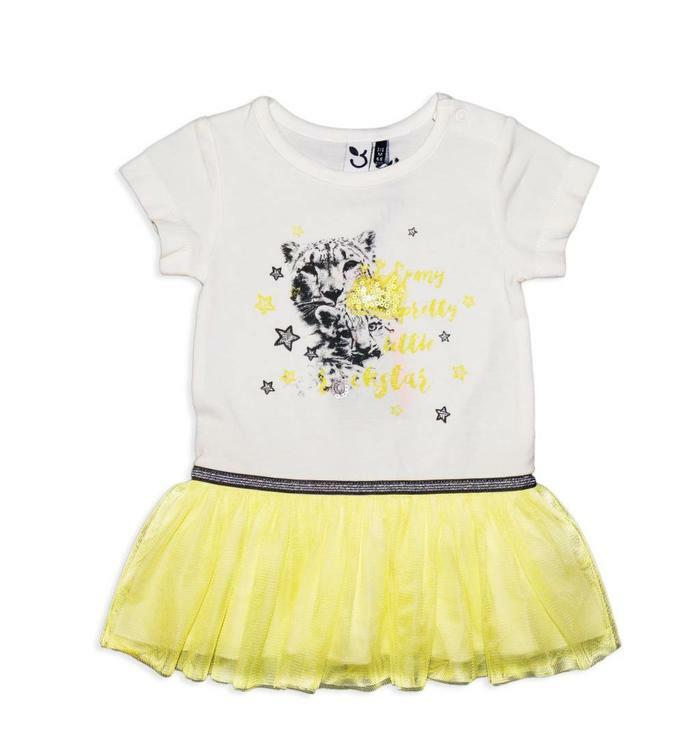 Printed cotton romper with a polka dot tulle skirt with snaps at the crotch and back. 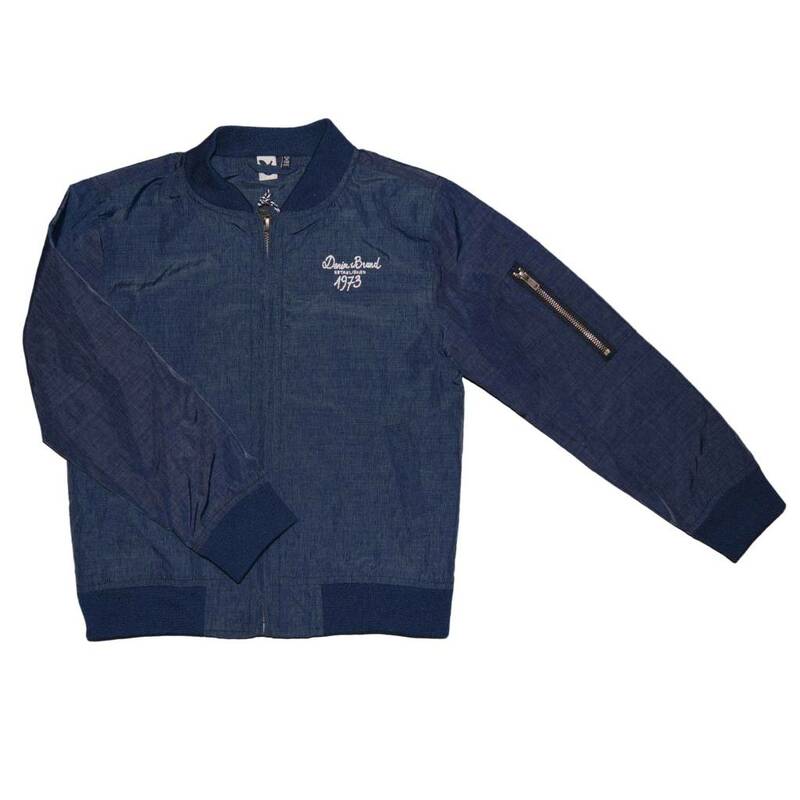 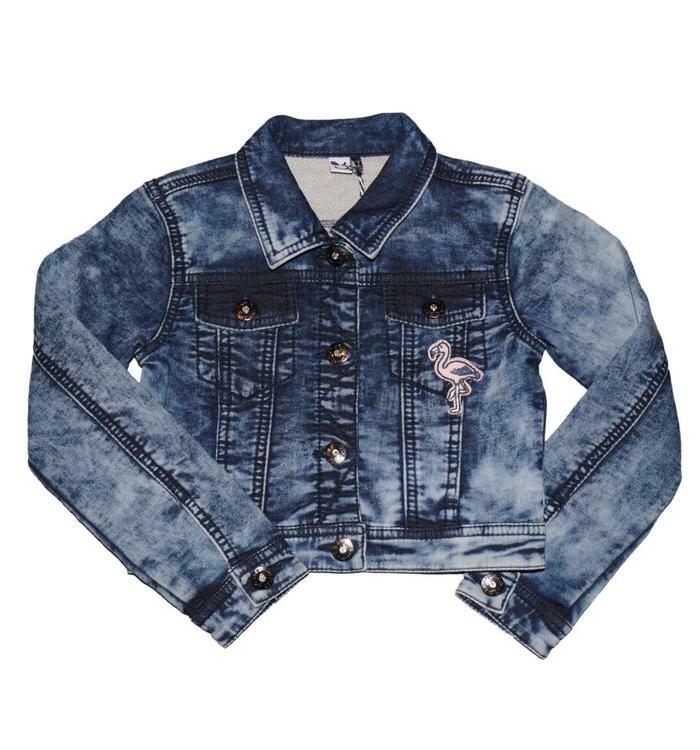 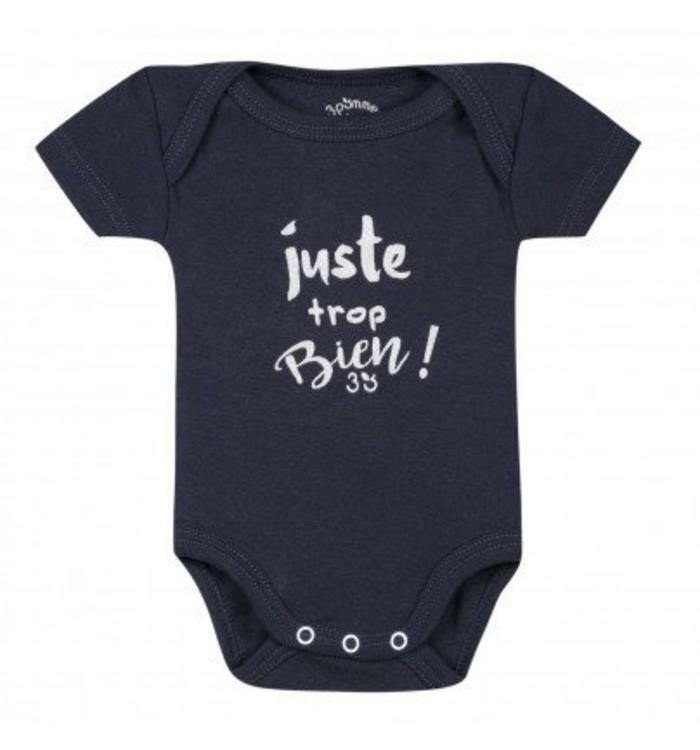 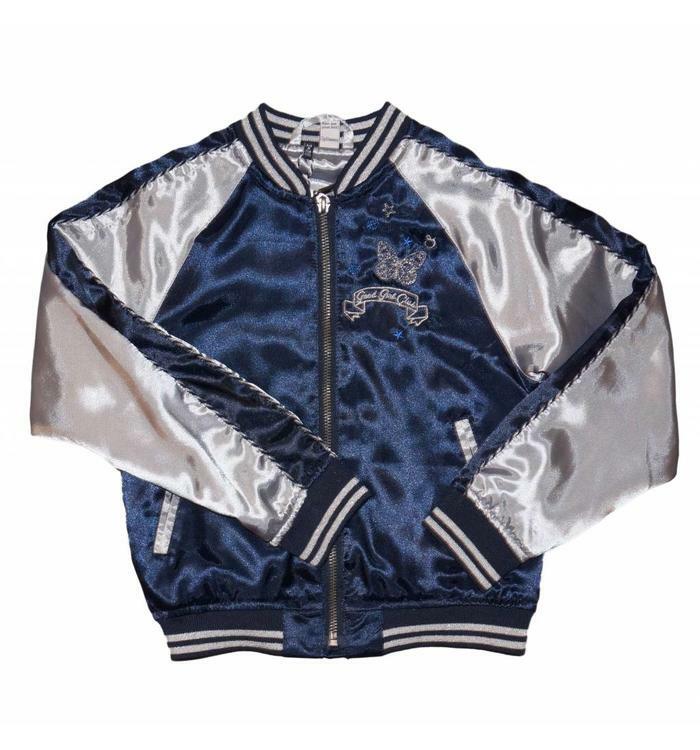 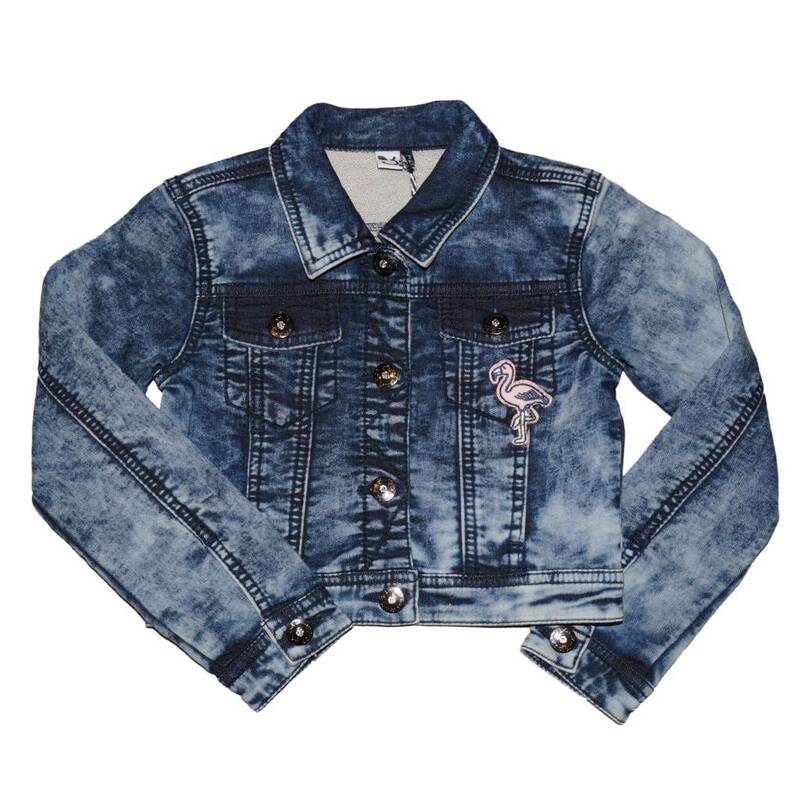 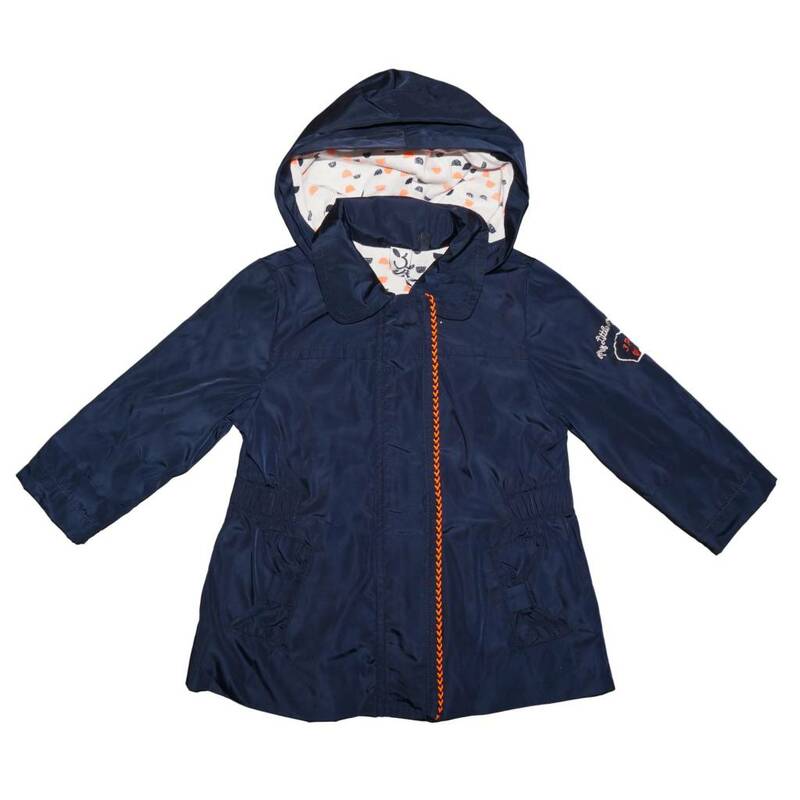 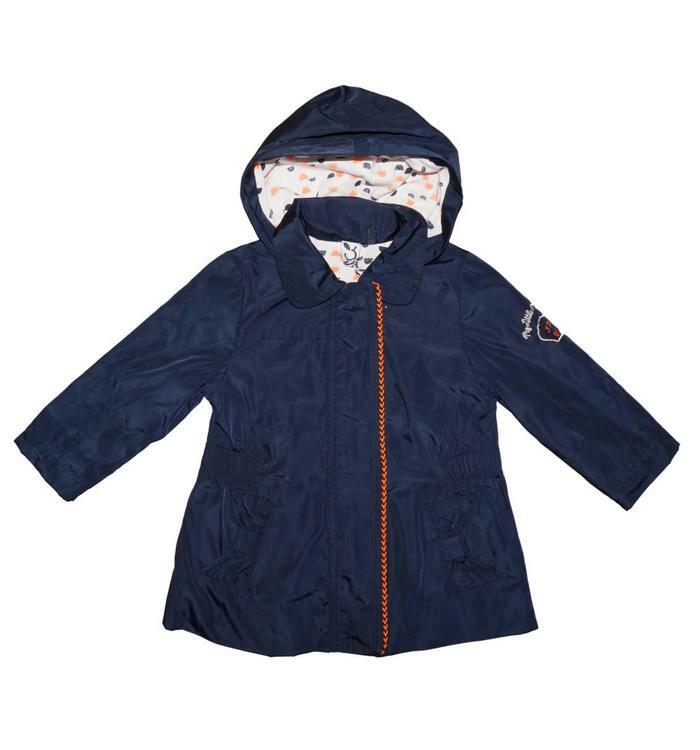 Navy jacket with a hood for baby girl, lined with printed cotton. 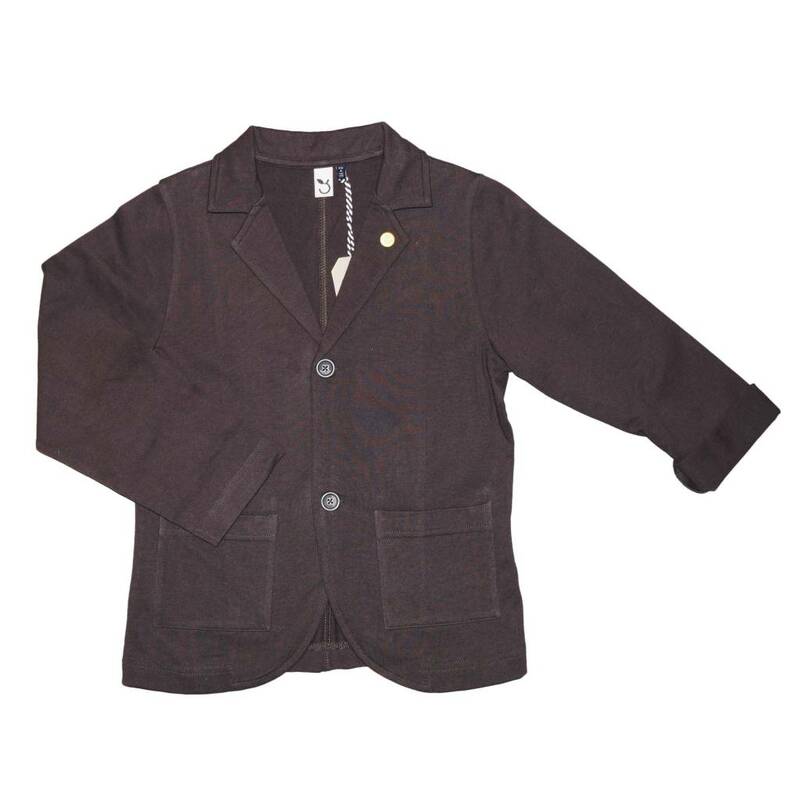 Spring cardigan for baby girl in a silky fabric in pink and gray with flower embroideries, interior lined with cotton.